Beautiful Vintage Mid Century Room Size America Hooked Rug , Country of Origin: United States of America, Circa Date: Mid-20th Century – This vintage geometric design American hooked rug was made in the United States of America in the mid-20th century. The vintage mid century rug itself is quite large, measuring 12 feet by almost 9 feet, making the patterns that much more striking. 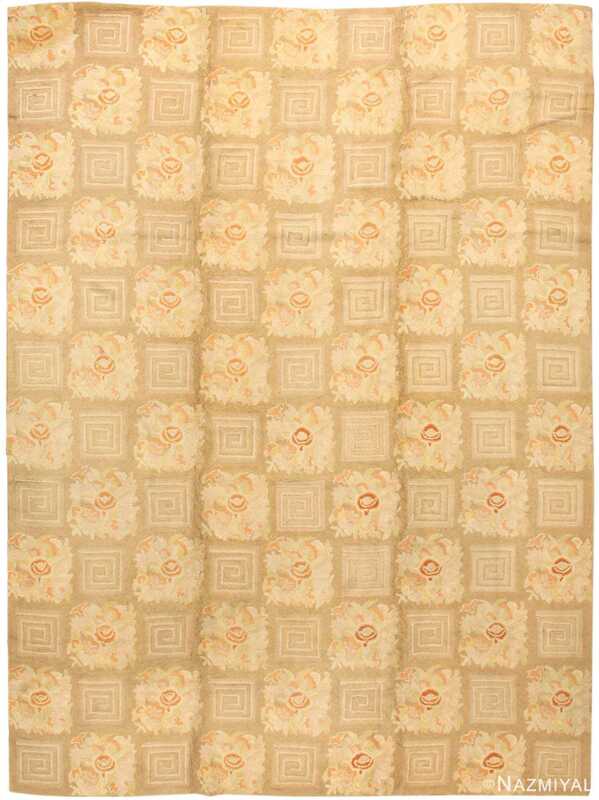 The design of this magnificent vintage room size rug features abstract geometric designs on a field of a neutral cream color. Through it is a vintage room size America hooked rug, this rug has a distinctly modern appearance making it a fascinating and unique piece. Though the ground is a more neutral tone, the squares themselves appear in several different colors, including orange, green, brown, and both warm and cool neutral colors. Some of the colors appear multiple times and some of the colors appear only once, making the design extremely visually interesting. These geometric designs appear as shapes that are both closer to square as well as closer to a more elongated, rectangular shape. 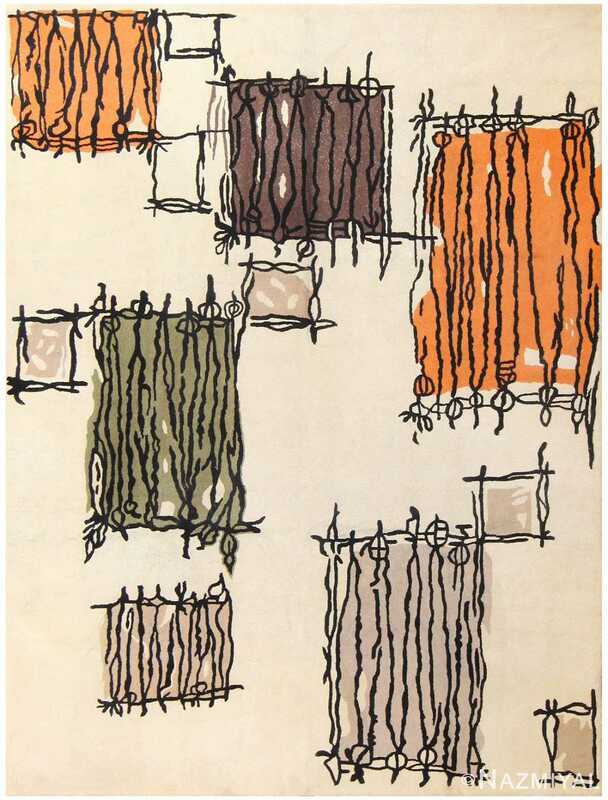 Each of these shapes is outlined with a darker color that creates a sharp contrast between these borders and the soft colors of the shapes themselves. Some of the larger shapes are crossed by more of these lines, creating a very eye catching design. 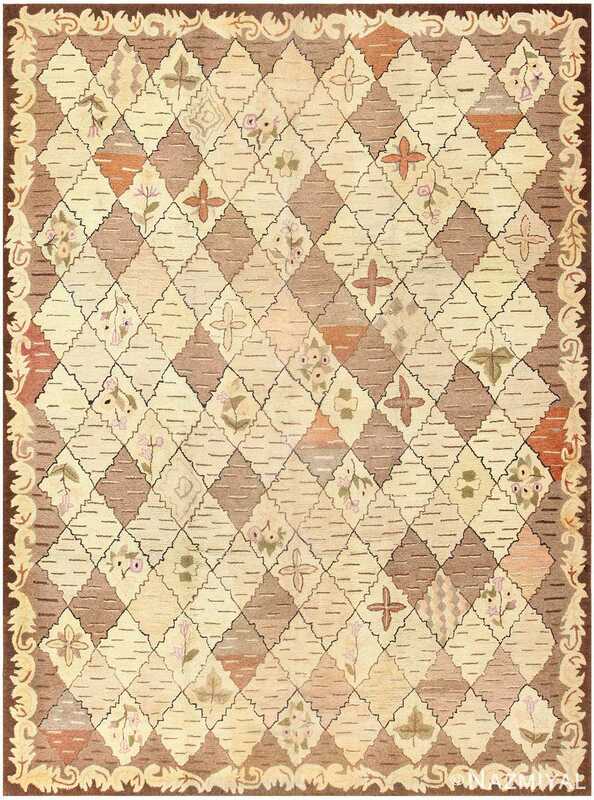 These border and crossing lines have a design to them that make them almost reminiscent of sketches in pen over watercolor, making this rug really stand out. 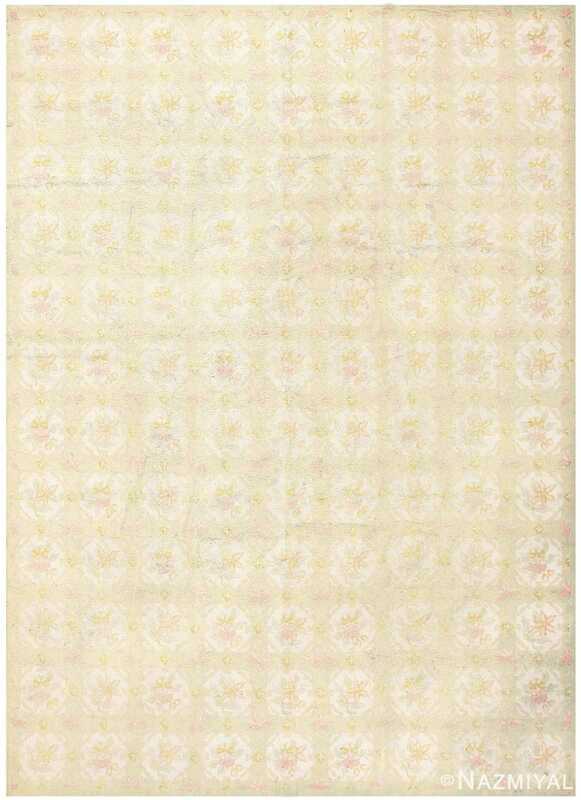 These elements come together to create a room size America hooked rug that can certainly be described as artistic. It’s a very unique piece that really looks like a painting, and the designs present make this rug absolutely look like a work of art.